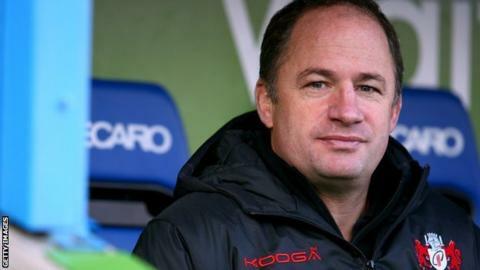 Gloucester's Premiership win over London Irish will give the squad momentum as they return to European action, says boss David Humphreys. The Cherry and Whites avoided a fourth straight league defeat by beating the Exiles 21-9 on Sunday. Humphreys' side will now face Italian side Zebre in back-to-back pool fixtures in the Challenge Cup. "It was a hugely important victory for us," he said after the win at the Madejski Stadium. "There's a real character and spirit in the squad and they fight for everything. "When things aren't quite clicking and you don't get that little bit of luck, you've got to keep going. "We now believe we're on the right track and at some point we will run in all the opportunities we've been creating. "There's momentum and there's confidence." Gloucester were bolstered by the return of internationals Greig Laidlaw, James Hook, Richard Hibbard, Sila Puafisi, Aleki Lutui and Sione Kalamafoni on Sunday. And with England's Ben Morgan, Jonny May and Billy Twelvetrees now available after the conclusion of the Autumn Internationals, Humphreys is pleased to have a near-full team to chose from again. "We're getting our squad back together, by contrast to last week when we had 20 of our starting 22 unavailable," said the former Ireland international. "For us, as a squad, if we are trying to compete against the top teams across the season you need the depth of your squad. "We're now going into the next two rounds of Europe and we've given ourselves a great start." Meanwhile, Gloucester announced on Saturday they have offered a new contract to number eight Gareth Evans. A product of the club's academy, Evans has made 35 appearances since his senior debut in 2011.